Astronaut John Crichton attempts to use the Earths atmosphere to propel his module at high speeds. He is hit by a radiation wave and is sucked through a wormhole into a distant part of the universe--straight into the middle of a space battle. Moya gets infested with bugs who have come on board to breed. They turn up the temperature to speed up the process but this causes Aeryn to get heat delirium as she is cold blooded. The bugs seem to be able to replicate members of the crew. And as if that isnt enough, a peacekeeper ship shows up. The crew visits a planet full of happy workers. Soon DArgo and Zhaan start working and refuse to return to the ship. Meanwhile Rygels body fluids become explosive and Aeryn and Pilot must learn why before Rygel dies. Crichton is put into a head-to-head battle with Crais by a magical being named Maldis who feeds off the emotions of others and makes himself stronger by absorbing all of the negative energy and anger from Crichton and Crais. A scientist extracts DNA from several of Moyas crew, promising them that with it he would be able to use it to find the location of their home planets. Things get more interesting however when he asks for some of pilot. While on a transport pod piloting lesson with Aeryn, Crichton gets caught in an energy field which is invisible to their sensors. Back on Moya, a strange guest docks and comes aboard to warn the crew about The Flax, an invisible energy net created to catch ships. Crichton leaves Moya in his module for a drive. Moya starbursts leaving Crichton marooned and alone in space. He finds a planet and makes it his home where he lives for several months until the others find him. He is unwilling to accept however, that Moya didnt starburst intentionally. Crichton is sucked down a wormhole and crash lands on a beach...on Earth, Australia. Although the home he has returned to isnt as real as it seems. Everything gets worse when the rest of Moyas crew shows up and are experimented on...killing Rygel. Moya tries to starburst to prove to the crew that she still can. It goes slightly wrong though and she gets stuck in starburst and split into several different dimensions. 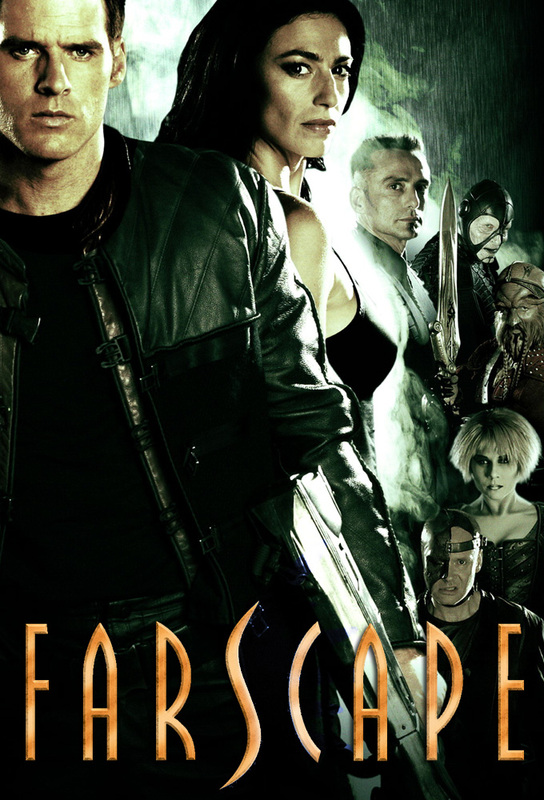 Scorpius attempts to extract the wormhole technology from Crichtons mind, while Aeryn mounts a rescue operation. Crais finds himself at Scorpius mercy, and Moya gives birth. Moya is hiding from a peacekeeper command carrier in an asteroid field. The crew receive a distress call and Crichton, Zhaan and DArgo go down to one of the asteroids to rescue a women who has an unusual appetite. Rygel steals a transport pod and goes to the peacekeeper command carrier to betray the others. However he ends up returning to Moya with Crais who wants asylum. Crichton decides to destroy Scorpius Gamac Base to give Moya time to escape.